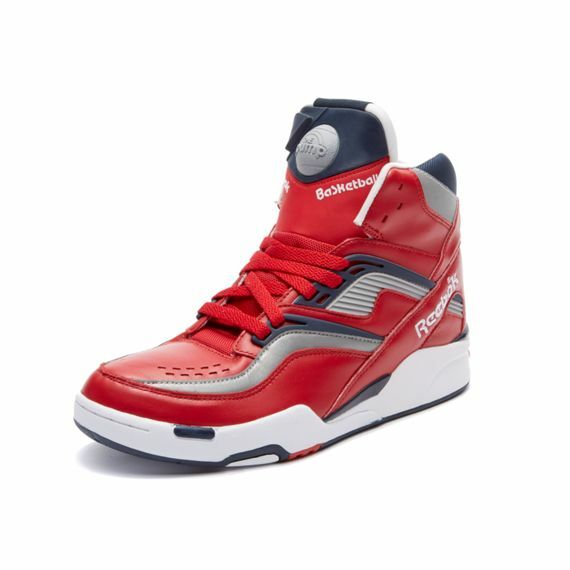 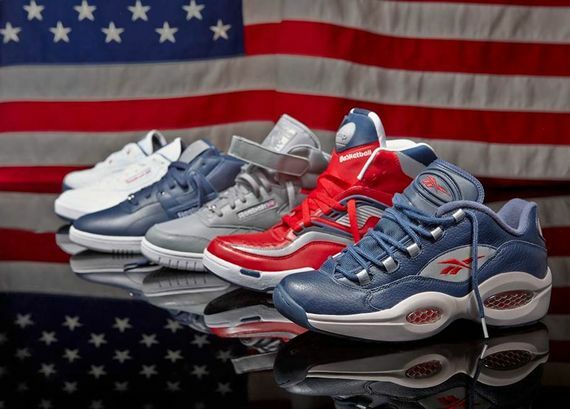 Reebok introduces a special pack for July 4th consisting of the classic Pump Twilight Zone, Question Low, Ex-o-fit, Phase One, Workout Mid and Workout Mid Plus in a pack dubbed the “Patriot Pack”. 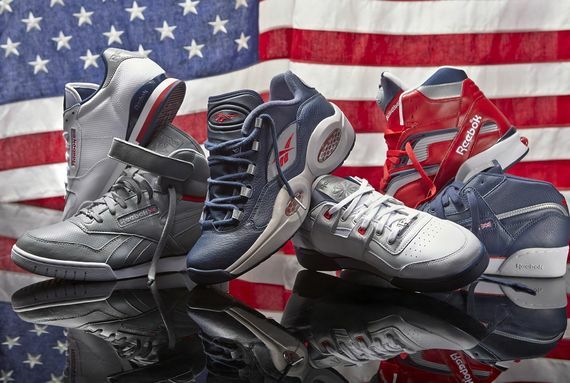 The entire pack is an ode’ to the Stars and Stripes on the American Flag and features the Patriot colors of Red, White and Blue. 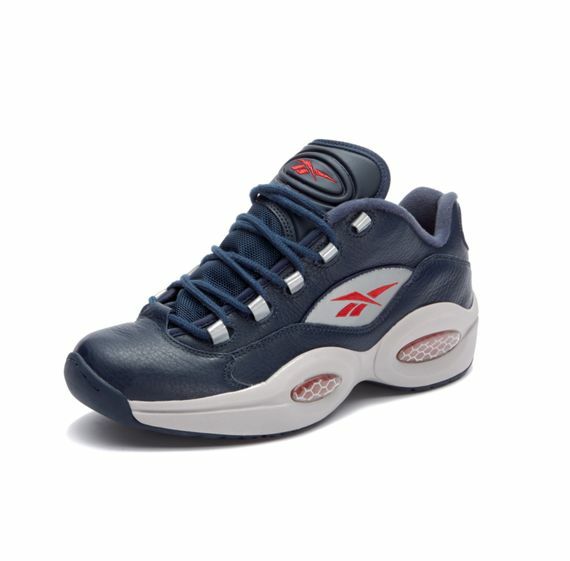 The Patriot Pack bursts into stores this Friday, June 28th at key retailers Foot Locker, Finish Line, Champs, Expressions, DTLR, Shoe City, and Reebok.com.